Why are motocross forks so important? 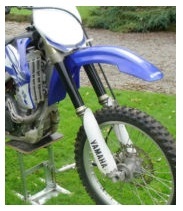 Looking for dirt bike forks should be fairly easy, if you do the right thing. Of course you’ll need to know the model and make of bike your needing the forks for, so your selection should be quite straight-forward. If buying new, make sure that the store knows exactly the model your seeking the part for, and if that model has a part number be sure you pass this on too. 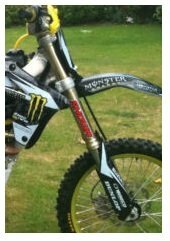 If buying used search classifieds like ebay with the model of bike and the item so “Yamaha forks” would be great, or “Yamaha dirtbike forks” if the first option brings too many results. Be specific and not too broad and you should be fine. Dirt Bike Forks – tips about adjusting your motocross fork. 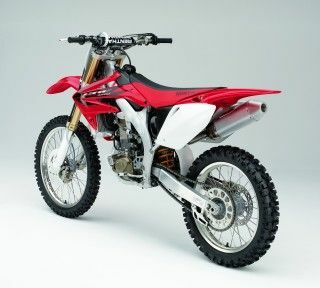 Dirt bikes have a huge range of different pieces and components, and all of them play different roles which will affect how you ride and perform, your comfort level, the overall quality of your bike, and much more. Dirt bike forks are right up there at the top of the list for bike parts which heavily impact your performance and riding capabilities, yet many people don't know as much as they should about them. Use this quick guide to learn more about how you can adjust them, check for damage and more. First, any rider should take some time to acclimate themselves to their bike and the settings that they use. Even relatively small and easy adjustments to your dirt bike forks can make you much quicker and capable on the track, no matter what kind of surface or course you're riding on. But you need to know what you're doing, and how the changes you make relate to changes in performance. There are two main beginning adjustments you can make to these components, the first is the compression adjuster and the second is the rebound adjuster. The compression adjuster, commonly marked with an S-H tag indicated Soft and Hard, can make an immediate change in your riding. If you're unsure about what you prefer and how it impacts your performance, first turn it clockwise all the way to Hard, and take it for a spin. Now, try the opposite, and turn it all the way to Soft and go for a few laps. You should get a quick idea about the impact this has, and now you can fine-tune your preferences. Keep in mind that different tracks and situations will call for different adjustments as well. If you do it right, motocross jumps should hold no fear. The rebound adjuster can also be changed from Soft to Hard, and will be found at the bottom of all dirt bike forks. Adjusting this towards Hard will slow down the rebound speed of the fork after it has been compressed. You may also want to do some experimentation to get a good feel for all of this. When checking for damage with your dirt bike forks, there are many different things you can be looking for. The first thing you should do though is to bleed the fork, which is a term for basically releasing excess built up air within the fork. Make sure your bike is on a stand when you do this, and make sure the area is completely clean of dirt and grime, as that can get into the unit and damage it. Once you have bled your forks, you should then check for leaks on your forks. This is basically an eye and touch test, you should see if you can see leaking oil from the seals on your fork, and you can run your finger along the seals to see if it has been building up, or if it's dry now but has previously been leaking. Unfortunately, with a leak, you basically have to replace the whole unit. Hopefully by now you know a little bit more about your dirt bike forks, how you can adjust them, fix them up and check for damage. When it comes time to make a purchase, always look for something which will be a specific match for your bike's make and model, and also for your particular riding style. 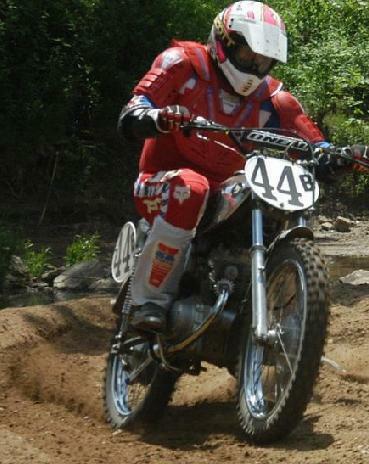 When participating in dirtbike freestyle events, your dirtbike wheels and forks will take a pounding. 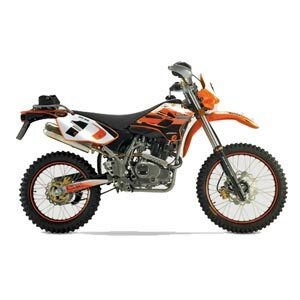 You can buy discount dirtbikes for this but do buy as good a "quality" bike as you can afford. Used / cheap dirtbike wheels maybe one answer or maintaining the suspension yourself will lower costs overall, if your jumping on a regular basis.